We are glad to announce our comeback after users requested a new start with many feature changes. Although, our previous project had an unexpected turn and we were a little lost after the happenings, we expected a much bigger community since it was the first server running on vsro 1.274 files, but it was our fault as well. In fact the only working free bot wasn't released at the opening and the new job system was nearly unedited, which didn't provide fun or action at all. So this time we don't try to rush again, we have rebuilt the main features and prepared tutorials since many players didn't even know about the functions of the new systems. As the most, but not all users agreed with a fresh start, we're rewarding those who were active until the end and at this point we also want to apologize to those who didn't like this idea. After more than 3 years of developing systems on vsro 188 files, we decided to rebuild our server on vsro 274 files, which have more potential, newer options and which are giving us much more free space to increase the chances and features. If you are searching for something different, unique and new, here you are at the right place! We have generated epical game-play features, play2win. You don't like the new Job System? The new Job System is boring and useless without edits, but the old one as well! We made it worth to play with new extended Features to guarantee Action and Fun! Special Thanks go to SuS3 for this Trailer! We have chosen Donwhang to be the maintown, due it's not a long way to leave the safe-zone to make some pvp and it's a nice town itself. The most important NPCs are located here, as well there are many teleport options at the portal. 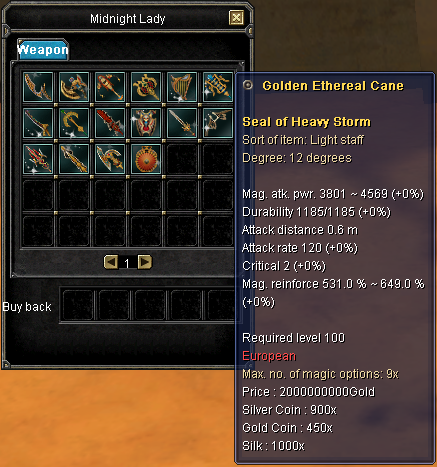 As well from the NPCs you can buy equipment items which are SOM+7 with 6 Str/Int until 9Dg, and normal +11 10Dg ones. We have rebuild the new job system to stock it with action and profit. In fact it's even better than the old system, due special goods can not be bought at some NPC and dropped for the own or a friend's character, it's not possible to cheat anymore. 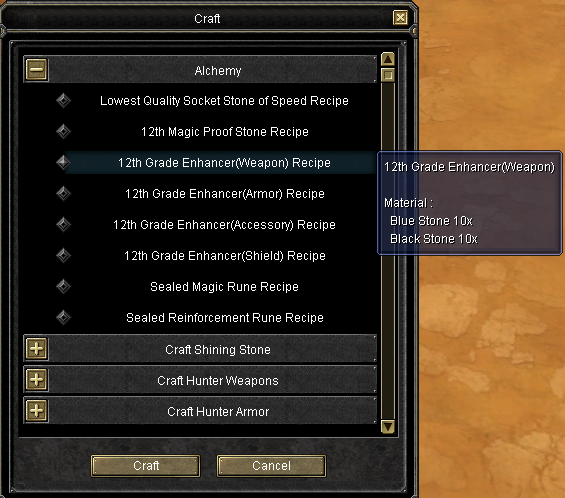 As well the recipes for crafting leave a huge space for improvements, which doesn't exist at the old job system. 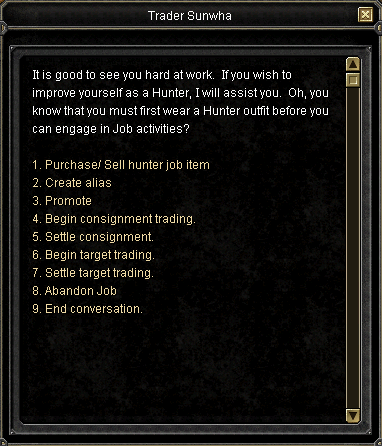 Once you selected a Job, you have to finish a few quests to gain a higher Job-Level. If Hunter or Thief, beginning from lv. 70 you can start to invest the Special Goods which are dropping from mobs to Consignment or Target Trading at the Trader or Smuggler NPC. At the Target Trading you have to activate your caravan Bugle (Trade Pet) and bring the goods to Hotan. At Consignment Trading your Special Goods are being loading a Caravan, once 1000 goods are reached (counting from the investments of all players) the caravan will start to run from a random town, which is announced shortly before it starts. The Caravan will always stay on the ways and walk to Hotan. Players of the opposite Jobclass can attack the caravan and steal the goods, so better you follow it and protect it! You will get different and stronger items out of some crafting recipes, so always try your chance for better luck! If you finish any kind of trading, you are receiving not only Black- or Bluestones but you get Contribution Points as well, which you can use at the website to get specific items. With your stones you can now do uch more stuff now, we have added many new recipes to craft items like Gold Coins, Silver Coins, Gold Bars, Job Alchemy Items and Proof Stones & Enhanchers to gain and fuse the final equipment. The idea was to make the Alchemy completely job-based, as only through crafting you can obtain Proof Stones & Enhanchers. To keep both Job-classes balanced, the required materials for the most of recipes are Black- AND Bluestones, which means hunters and thieves will have to exchange them with each other. 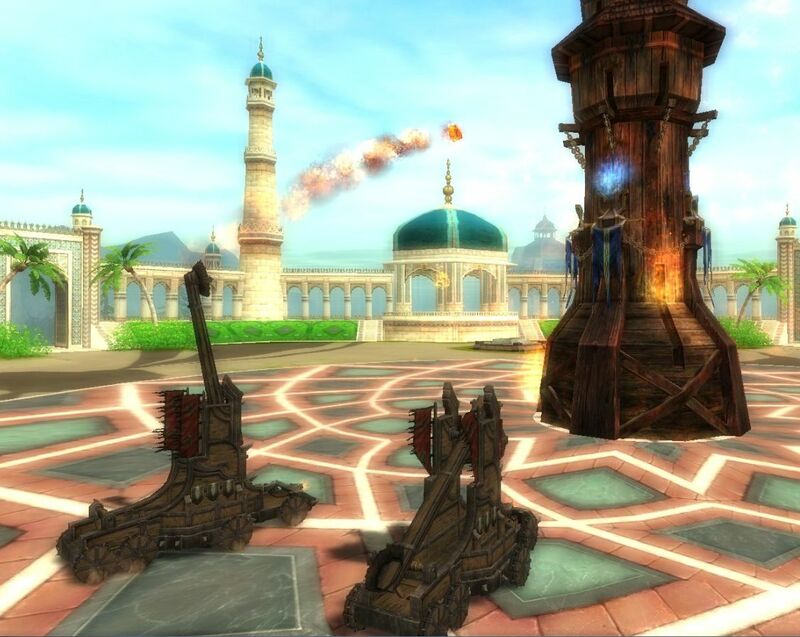 The gameplay at Fortress Wars has been equiped with epic accessories! Heavy Siege weapons like Rams are available to crush the Gates, Catapults to attack the Towers. Those can only be used by Military Engineers and can be obtained by crafting. The HP of Gates and Towers has been increased, Special weapons like Fortress Hammers / Axes are available at the Magic POP (Later more about the Magic POP). To craft Rams or Catapults, you have to learn the Recipe as first, which you can buy at the Hotan Fortress Clerk. 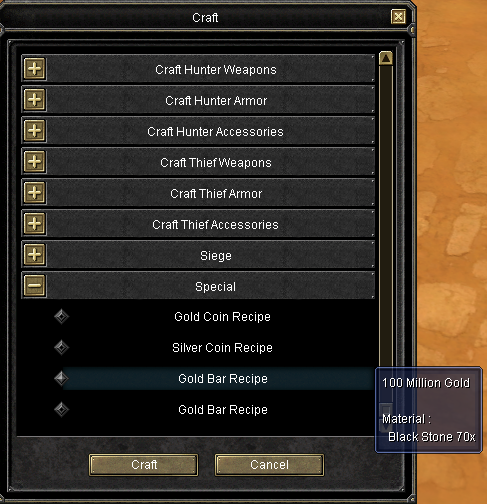 Once done, you can buy the required materials at the Guild Manager in Hotan. For now there will be Hotan and Jangan Fortress War, once owned, the Guild will not only receive the Tax, but as well a pretty nice amount of Gold Coins and Silver Coins. Get ready for a brand new gaming experience!